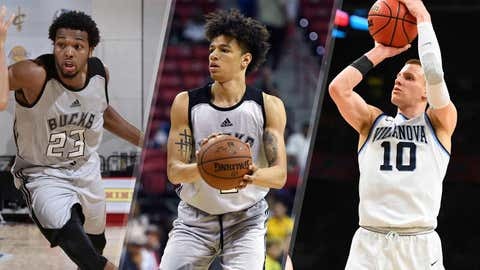 The NBA's Summer League in Las Vegas begins Friday and the Milwaukee Bucks' squad features three draft picks, including their last two first-round choices, as well as other players with pro experience. Here’s a quick breakdown of the players on Milwaukee’s roster in the NBA Summer League (in alphabetical order). Played two seasons at Texas before transferring to Missouri. As a senior, averaged 13.7 points and 5.9 rebounds while making 41.4 percent of his 3-point attempts. However, he was suspended for Missouri's opening NCAA tournament game against Florida, a game the Tigers lost, after being arrested on suspicion for driving while intoxicated. As a junior, Barnett played in 23 games and let Missouri with 12.2 points per game and let the team in conference play with 12.9 points and 5.7 rebounds per game. 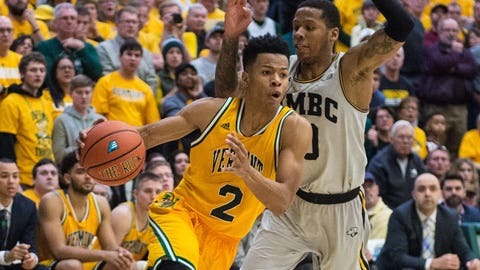 A back-to-back Associated Press All-American honorable mention ad America East player of the year, Bell-Haynes led Vermont in scoring (14.6 ppg) and assists (4.1 apg) as a senior. He also pulled down 4.1 rebounds per game and shot 51.1 percent from the field. Bell-Haynes scored in double digits in three of his four years (and 8.8 as a freshman) and is one of three players in school history to record 1,500 points and 500 assists. 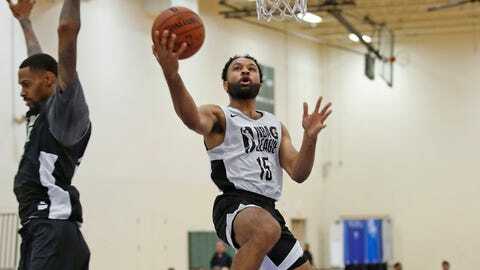 Blackmon finished his 2017-18 season with the Wisconsin Herd, Milwaukee's G League affiliate, which acquired him in a January trade with Delaware. In 19 games with the Herd, he averaged 16.7 points and 4.4 rebounds with a 50.7 field-goal percentage (43.5 percent from 3). Blackmon played for Philadelphia's summer teams in both Utah and Las Vegas last year and appeared in four preseason games with the 76ers. Blackmon averaged at least 15.7 points per game in each of his three seasons at Indiana, including 17.0 as a junior, after which he left to turn pro. 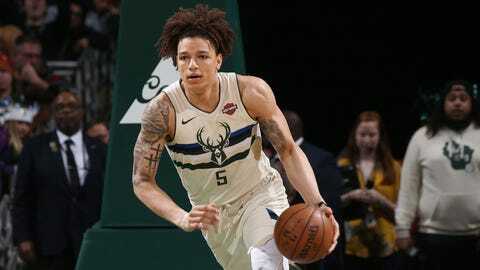 A second-round pick of Philadelphia in 2017 and acquired by Milwaukee after draft day, Brown played in 54 games last season for the Bucks, with four starts. He averaged 4.0 points and 2.6 rebounds in 14.4 minutes. 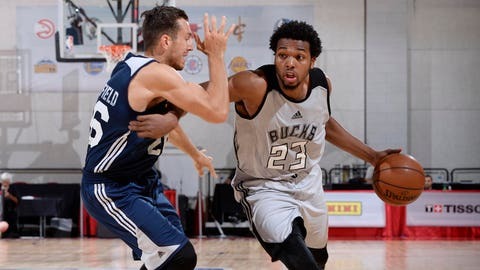 Brown played on Milwaukee's summer team last year and averaged 8.4 points, 4.0 rebounds and 1.8 steals per game. After going undrafted in 2017, Cline played in Turkey and Israel this past season. Cline was the Atlantic 10's player of the year as a senior and an honorable mention AP All-American after averaging 18.5 points, 7.8 rebounds and 5.6 assists and shooting 51.7 percent from the field. 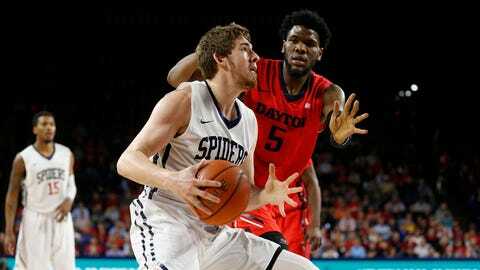 In his three years at Richmond (Cline played as a freshman at Niagara before transferring), he averaged 16.1 points, 5.6 rebounds and 3.7 assists with a 53.1 field-goal percentage. Milwaukee's first-round draft pick in 2018, DiVincenzo was named the Final Four's Most Outstanding Player as well as named to the all-tournament team after helping lead Villanova to the national championship. Mainly coming off the bench, DiVincenzo averaged 13.4 points, 4.8 rebounds and 3.5 assists last season as a junior, while shooting 48.1 percent from the field, including 40.1 percent on his attempted 3s. 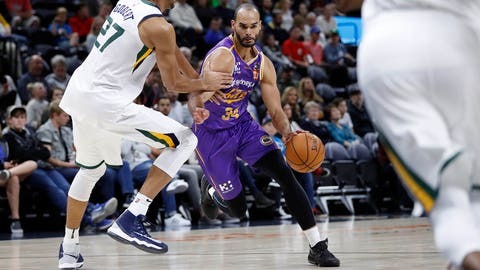 The former Kansas star was drafted by the Wisconsin Herd in the G League's expansion draft, but chose to play overseas instead. After appearing in five games for Minnesota's summer team, he played in Australia with Sydney of the NBL, where averaged 14.1 points per game over 30.4 minutes, then appeared in 14 games for Pallacanestro Cantu of the Italian League, averaging 7.7 points over 20.0 minutes. In 2016-17, he was with Greensboro of the G League, averaging 9.8 points and 4.7 rebounds in 22.4 minutes. Ellis averaged 16.9 points on 53.1 percent shooting as a senior at Kansas in 2015-16. Lewis was also on Milwaukee's summer team in 2017 and was signed by the team as an affiliate player for the Herd. 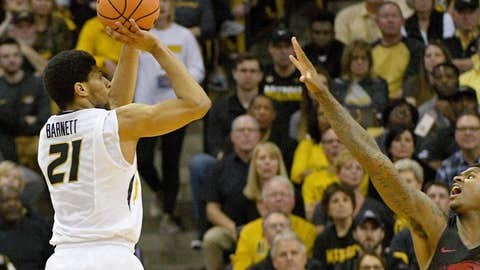 Lewis averaged 9.2 points and 4.5 assists with Wisconsin. He played just 41 minutes in four summer league games, scoring eight points. Lewis was a first-team All-Atlantic 10 selection as a senior at Virginia Commonwealth when he averaged 15.2 points, 4.5 assists, 2.8 rebounds and 1.7 steals. 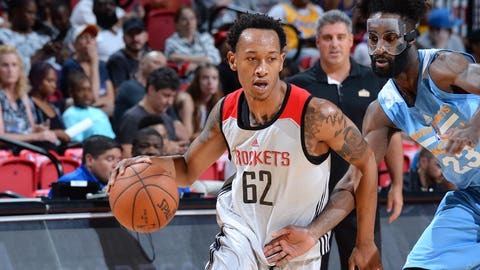 Quarterman has 19 games of NBA experience -- 16 with Portland in 2016-17 and three last season with Houston. 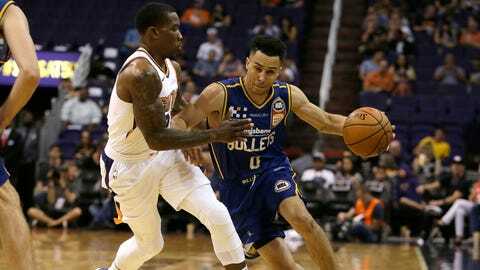 He also played 11 games with Agua Caliente of the G League last year, averaging 8.9 points, 5.3 assists and 4.3 rebounds. Quarterman played three years at LSU, leaving as a junior following the 2015-16 season when he averaged 11.2 points, 4.6 rebounds and 3.6 assists. A second-team all-Big Ten pick by the coaches and an honorable mention selection by the media after a senior season in which he averaged 12.3 points and 6.2 rebounds and shot 55.7 percent from the field. In his four years at Ohio State, Tate averaged 11.7 points and shot 55.2 percent. This is the third consecutive year Trice has been on Milwaukee's summer team roster, although he didn't play in 2016. Last year he averaged 9.0 points and 2.8 assists in five games. The former Michigan State guard played overseas in 2017-18, mainly with Brisbane in Australia's NBL, where he averaged 15.5 points and 5.2 assists. The Bucks' top draft pick in 2017 played in all of 71 minutes with Milwaukee over 22 games last season, scoring 21 points and pulling down 10 rebounds. 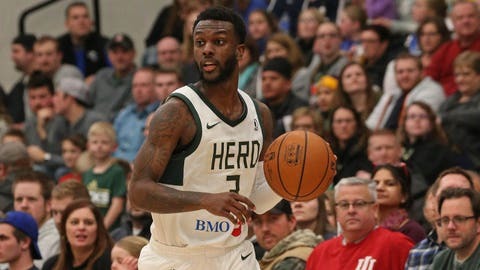 In 11 games with the G League's Wisconsin Herd, Wilson averaged 15.9 points and 5.6 rebounds. 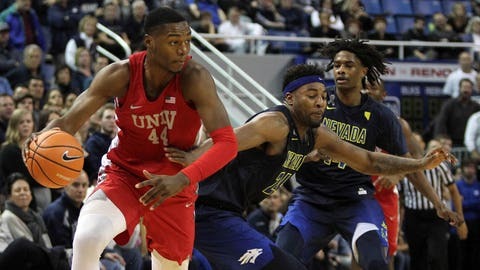 In last year's summer league, Wilson averaged 11.8 points, 5.4 rebounds and 1.4 blocks over 25.3 minutes.